A concrete shed foundation is perhaps the best solution for your shed floor. 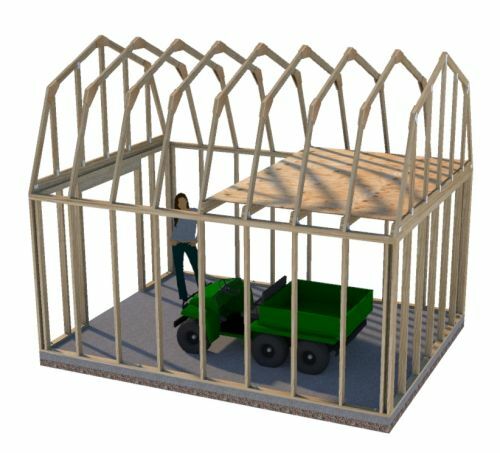 The advantages to having a concrete shed floor are numerous. It won't rot like a wooden shed floor might. If you are going to use your shed as an animal shelter, cleaning of the floor will be much easier than if it was a wooden floor. It's very difficult for a concrete shed floor to become unearthed! 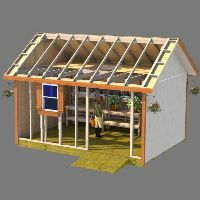 Chances of your shed remaining right where you built it on the concrete are very good as opposed to a wooden shed floor. The one big disadvantage to doing a concrete shed foundation would be cost. 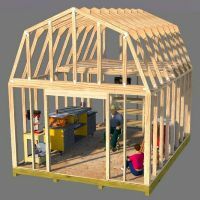 Unless you are willing to put out some big bucks depending on the size of your shed, a concrete floor could be well over half the cost of your total shed construction cost. 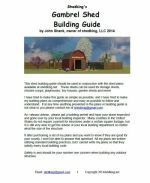 If you do decide on going with a concrete shed foundation, make sure that when you are laying out your dimensions that the concrete is the exact same size as the footprint of the shed size you will want to build. 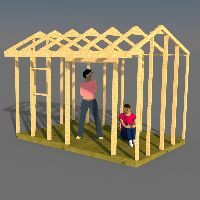 In other words, if for example you want to build a 12x16 shed, your exact concrete dimensions should be 12x16. 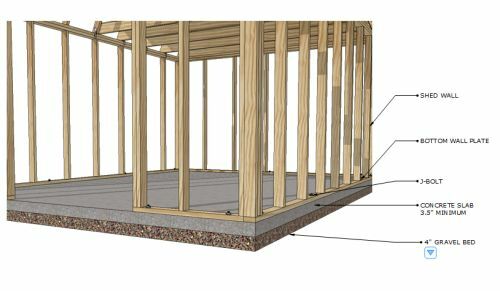 Also when you have poured your floor, you will already want to have the locations ready for you to insert your 'j-bolts' in to the semi-wet concrete to that you can bolt your walls to the floor. This can be done afterwards but is much more work and very time consuming. 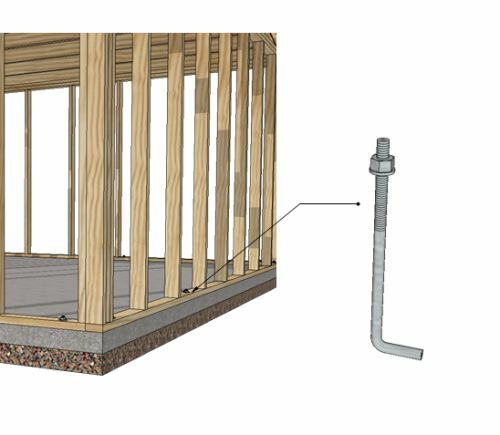 Should a Concrete Shed Floor Have a Footer? 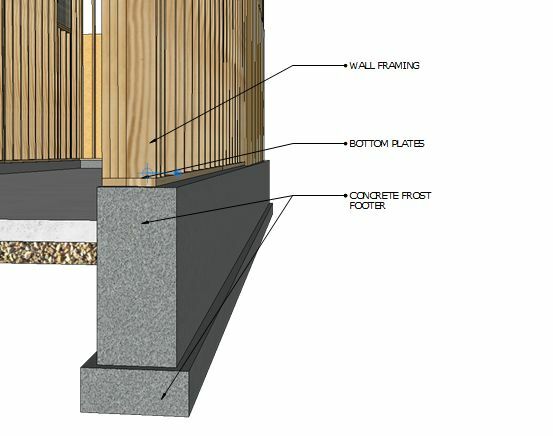 It's always a good idea to check with your local building department that issues building permits to see if your concrete shed floor requires a footer. In most localities, it is not necessary for these slabs-on-ground to have frost footings, as they are generally designed to be floating. Prepare your ground by removing grass, leaves, and other organic matter. You can pour your slab on undisturbed soil but it is better to have it compacted first. Make sure you dig out enough ground to have 4" of a granular fill base. You should probably reinforce your slab with re-bar. This rebar should be in the top 2/3 of the pour and not laid on the surface. Your slab should surface should not be level with the ground as you need to have it protrude above ground level at least 2" to 3" for protection against the weather such as water seepage. Leave concrete shed foundation for shed foundation.